It seems we’re not alone in our struggle to bring our iPhone app back to the AppStore after it was removed basing on a complaint from a competitor. The StoneLoops! precedence has apparently repeated as more apps have been removed in the same questionable way. You can read about the AppVault case here. Thanks for your support and for helping us spread the news. Casual Games Market Research – Friend or foe? StoneLoops! for IPhone is nr 4 in the world! I would sign the petition. But AppVault is not that honest. BTW, isn’t your Broken Apple logo a derivative work of the original Apple logo? I’m not a lawyer but doesn’t it mean that the broken logo is a joint copyright belonging to both you and Apple, and one should have a proper license from the author of the original to make derivative works? 1) File a lawsuit against the makers of Luxor and name Apple as a defendant. 2) And/or, file a similarly frivolous claim against Luxor with Apple and have that app removed till this is resolved? Fight fire with fire, I say. You are losing out on revenue while this drags out, so it boggles the mind why you are reactionary and not proactive in pursuing your interests. Thanks for your comment Linh. Filing a lawsuit against our competitor would theoretically be the easiest way to defend our rights, but the reality is that we are a small Polish company and going to court against a bigger American company would be a very big strain on our resources and would seriously affect our business. So before we resort to such aggressive options we will try other possibilities first. As to your second option, every lawyer we spoke so far to advised against doing something like that, because if we indeed were to go to court, such action could be used against us (just as we would use it against our competitor). I was looking for Playcreek in the app store a couple of days ago and was surprised to find neither of your apps up there. I play Stoneloops often and it’s one of my favorite games. I can hardly believe you guys have been falsely litigated out of the app store this is really awful. You guys did a great job putting out such a solid release, every time I play it I think about how smooth everything is and it’s not like you have been able to put out any patches. It’s a good testament to the quality of your work. I hope Playcreek is back soon! Stoneloops looks like a rip-off of Luxor, but Luxor Zuma, and Zuma Puzzle Loop. But I’m assuming it is like Mario and Sonic both being platformers, but still different. Not sure though. It’s funny how you delete all comments regarding how StoneLoops is a direct copy of Luxor. I guess you want to control your media. Shame on you and your company. Much appreciated! Keep making new games and new ideas..it just looks bad and is hard to defend your company when you pull old posts down. Be original, not a copy. Keep on keepin on. I bought the Stoneloops! when it first appeared on the iPhone. It is a marvelous game and I hope you’ll somehow get it back onto Apple mobile platform soon! Good luck! Bring it back PLEASE!! it was the most addictive game EVER!! 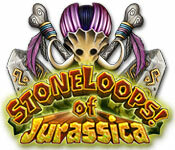 The original StoneLoops was in development before Luxor was released. I really miss the StoneLoops on my iPhone. It was the best GAME I evry played. Please bring it back! I HAVE BEEN AWAKE THE WHOLE NIGHT TRYING TO FIND WHAT THE NAME OF THIS GAME WAS! FOR SOME REASON IT DISSAPEARED FROM MY IPOD TOUCH AND FORGOT THE NAME-WAS SO WIERD BECAUSE I PLAYED IT EVERYDAY!!!! I WENT LOOKING FOR IT EVERYWHERE-EVERY POSSIBLE PHRASE AND NO HOPE! LOGGED ONTO MY APPLE ACCOUNT AND WENT THROUGH EVERY SINGLE PURCHASE I MADE-AND AS YOU CAN IMAGINE-I WOULD HAVE TO GET THROUGH A LOT! THERES SOMETHING ABOUT THIS GAME THAT HAS ME HOOKED-IVE SEARCHED FOR HOURS AND FINALLY FOUND THE NAME-SEARCH ON MY IPOD TOUCH AND NO RESPONSE-CHECKED THE NET TO FIND THIS AND I AM SHOCKED!!!!!! STONELOOPS SHOULD NOT HAVE BEEN TAKEN OFF!!!!!! ITS ALL JEALOUSY-SOMETHING SOMEONE CANT HAVE AND SO THEY’LL GO OUT TO ATTACK THEIR ENEMY-WELL IF AT FIRST THEY WERE AS GOOD AS STONELOOP, MAYBE THIS WOULDNT HAVE HAPPENED! I WANT STONELOOP BACK NOw!!!!!!!!!!!!!!!!!!!!!!!!!!!!!!!!!!!!!!!!!!!!!!!!!!!!!!!!!!!!!!!!! I PAID FOR IT BECAUSE I LOVED IT SO MUCH! BRING IT BACK RIGHT NOW! This was the best game I’ve ever played on the iPhone. It would be the only game I ever play on the iPhone too if it wasn’t gone. Devs, is there any chance it will ever come back? I’m really upset that I don’t have StoneLoops on my iPhone anymore. Has there been any progress yet? please port this to android!!! I still have StoneLoops on my 3GS and ready to upgrade to the 4S. I hope iTunes will sync into my phone….if not I will have to use the 3GS to play…grrrr. There is still a grass roots support for the return of StoneLoops to Apple!!!!!! I was furious when I got my new Iphone and my stoneloops disappeared. I have it on my Ipad and won’t sync the Ipad because then I know Stone Loops will disappear. Grrrrrr is all I have to say. I can’t believe Apple took one of my favorite games away! Bring back Stoneloops!!! Mumbojumbo, you were just demonically pursuing Apple so u can get revenge on Codeminion for no reason!!! Bring it back! Bring it back! It is so unfair. Awful that they pulled it. I still have an old version, but want it on my new iPhone. So shady what they did. There’s such a demand for this product…still.